Mid Sussex District Council serves a population of around 125,000 over an area of 128 square miles of West Sussex. Council services include Planning, Refuse and Leisure.  Eshcon delivered environmental awareness training to the newly established Environmental Challenge Officers (ECOs). During the implementation of its EMS, MSDC established the ECO Network to engage and inform staff. One ECO from each department was appointed. ECOs needed a good understanding of environmental issues to give them the confidence to conduct their duties. Eshcon helped in this by delivering the CIEH Level 2 Environmental Principles & Best Practice training course. Delegates were able to obtain CIEH qualifications on successful completion of assessment. Running in-house training sessions allowed the course to be tailored to the audience, covering issues and activities specific to the Council, thus making it more relevant to the delegates and the organisation. The ECOs gained a good understanding of environmental issues. It gave them the confidence to undertake their ECO duties & to answer colleagues’ questions; they were enthused and looking forward to their roles. Delegates received a formal qualification to the CIEH, adding legitimacy to their role. The ECO Network is ready to engage all staff in the EMS, making this more successful.